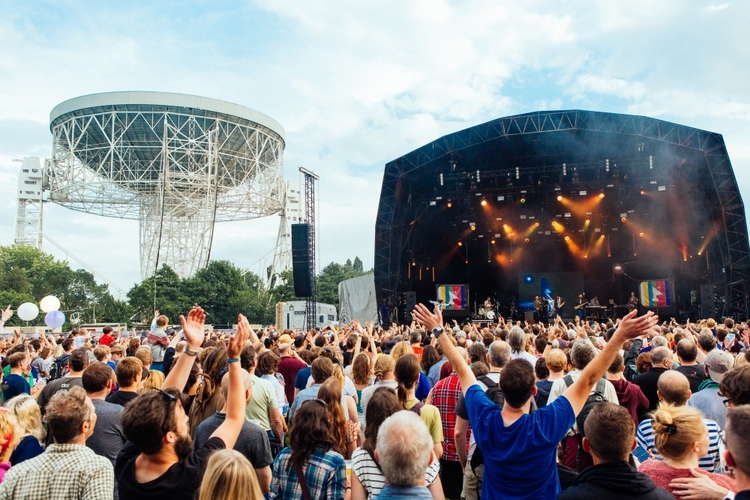 Bluedot Festival is an award-winning weekend of discovery at the grounds of the Jodrell Bank deep space observatory. Set against a backdrop of the iconic Lovell Telescope, bluedot combines a music with a ground-breaking programme of live science experiments, expert talks and immersive artworks. Following winning our Award for Outstanding Contribution to Social Innovation at the University of Manchester Social Responsibility Awards, the organisers of Bluedot festival invited us to come along to do some mapping! One of the most striking things was the variety of people that came to map with us, in particular the number of children that came to help - some of whom were as young as six did a fantastic job. The young man in the middle image below was definitely our champion mapper - he ended up spending most of the weekend with us and we even awarded him one of our official #Huckathon t-shirts for doing such a great job! We had a great time mapping at Bluedot, and also exploring the fantastic festival, which was packed with fascinating science and outstanding music. We very much hope that we will be back next year for an even bigger #Huckathon! And of course, we would like to thank the >750 people who volunteered their time to help map Uganda!